The death of Fidel Castro last Friday night has drawn largely predictable reactions from largely predictable quarters, but the analysis of the meaning of the comandante’s passing that matters most belongs to the Cuban people. History may ultimately absolve Fidel of his most egregious excesses and errors over the last six decades, but Cubans are the ones who will decide which parts of his revolution to keep – and which to reject or allow to fade away. By all accounts, Cubans want to preserve some of the gains of the revolution, including their sense of national dignity and some social benefits, while seeking a vastly improved living standard. But no one can claim to know exactly what “the people” want – and how they want to achieve it. The economic reforms that President Raúl Castro launched years ago have been halting and hampered by policy contradictions and bureaucratic obstacles rooted in elites’ fears of losing political control. Processes like the 7th Party Congress’ Conceptualización have been so muted as to undermine change and breed cynicism among the population. Raúl and his team have a roadmap that, while as unorthodox as ever, will move the economy in the right direction. Fidel’s departure is a signal that the old-timers, perennially blamed for slowing change, represent an eventually diminished threat. The next generation of Party leaders knows full well that their legitimacy is going to have to come from concrete results, especially improving living standards, and it needs to move ahead with the hundreds of lineamientos, laws and regulations that have already been approved. It’s their own plan, and the excuses for non-implementation of at least the easier measures are getting thin. Major reforms such as unifying exchange rates will be a big challenge, as for any country, but the new team at some time will have to bite the bullet. On the political side, Raúl lags even farther behind. Fidel’s passing puts a lot of pressure on him to flesh out his plan to step down as President in 15 months (a commitment that so far seems solid). Some of Raúl’s actions indicate a desire to build institutions, perhaps even the National Assembly as it moves back into the Capitolio this month; improve decision-making processes; and reduce party intervention in day-to-day matters. But his handover of power to a new generation won’t work if his policy team stays in the shadows forever. His vision entails them learning how to do politics among themselves and, increasingly, with the Cuban people – which implicitly entails respect for the plurality of legitimate views across Cuban society. The Cuban people have shown they’ll not form lynch mobs the moment political space opens up. Cubans can find support for their evolutionary change in every corner of our Americas, except perhaps one. Reactions throughout Latin America and the Caribbean differed in tone and effusiveness, but they uniformly showed respect for the deceased comandante and support for the Cuban people. Regional leaders called him a “giant in history” and “a leader for dignity and social justice in Cuba as well as Latin America” and the like, while one merely tweeted “condolences to the Cuban government” and had staff explain he’d miss the funeral because the logistics of flying to Cuba were “not easy.” But the region’s best wishes for Cubans to find a stable path from a Castro-dominated past into the future that they collectively – in the Party and “the people” – wish to find were strong. The outlier is, again, the United States. President Obama and Secretary Kerry’s messages were statesmanlike and consistent with Washington’s sensitivity toward any country in mourning even if it has different interests and values. President-elect Trump took a different approach. His condolence statement focused on issues from the past and his affiliation with combatants from the Bay of Pigs invasion who tried to oust Castro in 1961 and endorsed his own candidacy last month. He tweeted that he will “terminate the deal” of normalization if Cuba is “unwilling to make a better deal for the Cuban people, the Cuban-American people, and the U.S. as a whole.” Obama’s staff prematurely declared normalization “irreversible,” and Trump may be equally premature in threatening to reverse it. Cuba’s changing on its own, and Fidel’s passing will probably give change on the island, if not in Washington, a push. Efforts to return to a Cold War posture would probably put Cuba on the defensive and slow its transition processes – but not even Fidel could stop the march of time. After a decade of ignoring Cuba under the government led by Stephen Harper, Canada is on the cusp of an era of a significant improvement in bilateral relations with the island. 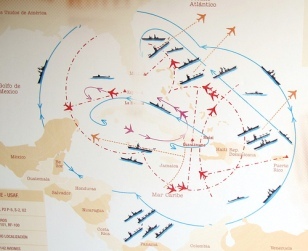 Many constants supporting this longstanding relationship remain: Canada, along with Mexico, was the only country in the Western Hemisphere not to break relations with revolutionary Cuba in 1962; Pierre Trudeau was the first leader of a NATO country to visit Cuba (1976) and developed a strong friendship with Fidel Castro (who was an honorary pall-bearer at his funeral); Canadians make up the largest tourist group (1.3 million a year) there; and the largest single foreign investor in Cuba is the Canadian firm Sherritt International. Justin Trudeau, elected prime minister in October 2015, has undertaken several significant foreign policy initiatives, mainly in Asia and Europe. Steps to improve relations with Cuba have been taken slowly, but are noticeable. 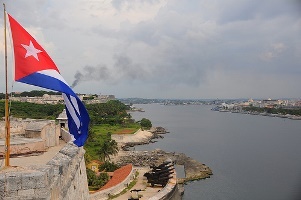 In May Cuban Foreign Minister Bruno Rodríguez visited Ottawa and Quebec City, while Canada’s Minister of Tourism Bardish Chagger attended the International Tourist Fair in Havana, at which Canada was the “invited country of honor,” reciprocating an earlier visit by her counterpart. In December the Canadian Senate held a special session to celebrate the 70th anniversary of diplomatic relations. Canada has been invited as the country of honor to the International Book Fair in Havana, in March 2017, and it is rumored that Trudeau will shortly visit Cuba. Significantly, the gradual improvement of bilateral relations is due mainly to Canadian initiatives, and not to developments in the U.S.-Cuba relationship. Investment and trade, however, have not kept up with diplomatic initiatives. 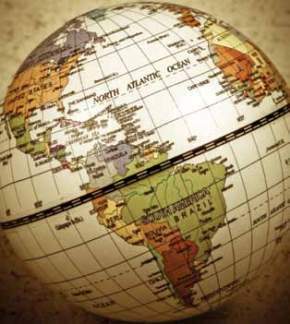 Annual bilateral trade remains about $1 billion, mainly because of uncertainty over Cuba’s economy. Canadian business has yet to take advantage of its privileged relationship, concerned with existing U.S. legislation and the looming wave of U.S. investment once the embargo is lifted. After a decade of neglect, Canada and Cuba have the potential to rediscover their deep-rooted ties. Trudeau’s willingness to work with Cuba and his diplomatic initiatives were unthinkable under the Harper government. A complicating factor for business has been the arrest and imprisonment of two Armenian-Canadian entrepreneurs, found guilty of corruption. Canadian civil society ties remain strong, with Canada making up 43 percent of tourists to Cuba. Again, however, concern exists at how Canadian tourists face skyrocketing prices when Americans are allowed to visit the island. In sum, Canada-Cuba relations are at this point characterized by political commitment to improve ties, largely untapped commercial potential, and anxiety about the ramifications of closer U.S. ties with Cuba. The big question is whether Canadian trade and investment will provide the energy to propel relations beyond their special past status into a new era of collaboration. *John M. Kirk is Professor of Latin American Studies at Dalhousie University in Canada. He is the author/co-editor of 16 books on Cuba, and also works as a consultant on investment and trade in Cuba. On its 50th anniversary, the Cuban missile crisis continues to attract attention as a landmark event in U.S. foreign policy. Unfortunately, the lessons that are often drawn from the crisis are the wrong ones – and they are predicated on a version of the history that is built on more fabrications than facts. The lesson most often drawn from the crisis is that President John F. Kennedy’s firmness and resolve compelled Soviet Premier Nikita Khrushchev to withdraw the missiles. As Secretary of State Dean Rusk put it: “We’re eyeball to eyeball, and I think the other fellow just blinked.” Unlike Chamberlain at Munich, Kennedy confronted Khrushchev and prevailed. However, the more complete story that we now know – forcefully buttressed by a host of excellent books released to commemorate this anniversary – is very different, and one of the reasons is that we have learned much more about the complicated role of Cuban President Fidel Castro, who initially opposed the Soviet proposal to place Missiles in Cuba, but then felt betrayed when Khruschev decided to withdraw them without consulting. We also learned that the nuclear warheads and a substantial number of tactical nuclear weapons were already stationed in Cuba when the missiles were detected. If Khrushchev had not withdrawn the missiles, and the U.S. had invaded, which it was about to do, these weapons would have been used, triggering a nuclear holocaust. More recently, we learned that Castro tried to convince the Soviets to leave the tactical missiles, which the U.S. did not know about, after the denouement of the crisis, but fortunately, Khruschev rejected that proposal. We cannot be absolutely certain as to why Khrushchev decided to withdraw the missiles, but all the available evidence suggests several factors. First, Robert F. Kennedy had conveyed a complex proposal to Soviet Ambassador Dobrynin: the U.S. would not invade Cuba if the Soviet Union withdrew the missiles. More important, he said that the U.S. would withdraw its missiles from Turkey but only on condition that this information would not be made public. Because of this deal, Kennedy was able to “spin” the event so that it looked like we won without giving up anything. Robert Kennedy also said that he feared that the U.S. military might take matters into its own hands if the crises were not resolved soon. At the same time, Fidel Castro sent a long message to Khrushchev, saying he expected an imminent invasion by the U.S. and recommending that the Soviet Union launch a first strike against the United States. Coupled with the shoot-down of a U-2 over the island and a straying of another U-2 in Soviet Asia, these various factors led the Soviet leader to fear that both he and Kennedy were losing control of events, and thus, an immediate resolution of the crisis was essential. That is why he transmitted his decision on radio. Today’s great U.S. foreign policy fear is that a nuclear Iran will destabilize the Middle East. Once again, the drama plays out in the middle of a U.S. electoral campaign, as did the Cuban crisis. Once again, there are calls for threats and “red lines.” An honest look at the events of 1962 yields useful lessons for today. First, we should expect our leaders to have the courage to negotiate with adversaries to avoid conflict – and to stand up to domestic voices, including generals and advisors, pressing for war. The second, more challenging lesson requires a U.S. president to step inside Nikita Khrushchev’s shoes. The Soviet premier was able to stand up to an ally to avoid being dragged into a war with nuclear ramifications. If Israel insists on a pre-emptive attack on Iran, will a U.S. president have the courage to restrain his ally, as Khrushchev had in restraining Fidel Castro? Robert A. Pastor is a professor of International Relations at American University’s School of International Service and a faculty affiliate at the Center for Latin American and Latinos Studies. He has served as National Security Advisor for Latin America under President Jimmy Carter, and he was a Senior Fellow and director of programs on democracy, Latin America, and China at the Carter Center. Most recently, he is the author of The North American Idea: A Vision of a Continental Future. Tom Long is a doctoral research fellow at the Center for Latin American and Latino Studies. 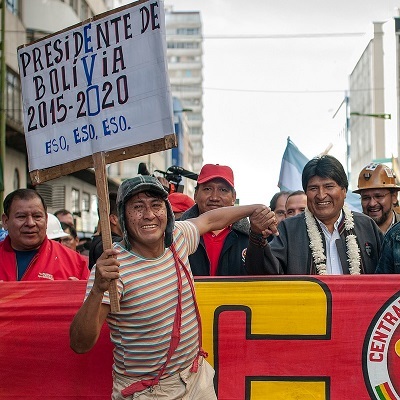 Discussion of the U.S. election in the countries roughly aligned under the banner of the “Bolivarian Alliance” (ALBA) – Venezuela, Bolivia, Ecuador and Argentina – generally reflects their own polarized domestic politics. In Venezuela, comparisons between the two countries electoral campaigns were common. 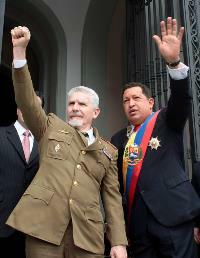 Washington-based commentator Moisés Naím suggested that Romney could learn from Venezuelan Presidential candidate Capriles’s empathy and inclusiveness in order to unseat Obama. Andrés Correa ripped President Obama, saying he needs to take Chávez more seriously and needs “an atlas and a compass so he can figure out where he is and come to understand that the United States has more connections with Latin America than with any other part of the world.” In a column that appeared in several countries, Argentine Ricardo Trotti praised the civic spirit of the first U.S. Presidential debate, and took Chávez, Bolivia’s Evo Morales, Nicaragua’s Daniel Ortega, Ecuador’s Rafael Correa, and Argentina’s Cristina Fernández to task for not engaging in debates. “The fear of debating implies a fear of democracy,” he wrote. In Nicaragua, former education minister Humberto Belli Pereira made a similar point in La Prensa, as did a commentator in Bolivia’s El Deber. Mitt Romney’s criticism of Obama as being naïve about the pernicious influence of the “failed ideology” of Venezuelan President Hugo Chávez and Cuba’s Castro brothers attracted wide coverage throughout the region – with predictable reactions from each side. In ALBA countries, opposition media evinced skepticism of Obama and appreciation for Romney’s promises to take a hard line against Chávez, and pro-government outlets portrayed the Republican as a loose cannon who trumpets Manifest Destiny and military options. Chávez’s reference to Romney as “crazy” during the primaries set the tone for some media. On Aporrea, a popular pro-Chávez online forum, one commentator said he preferred Clinton Eastwood’s empty chair to either Romney or Obama. In Argentina, Martin Kanenguiser wrote in La Nación that his country could only “tie or lose” in the U.S. election, particularly in regard to the Argentine relationship with international financial institutions. The 2011 elections in Argentina, followed by the U.S. 2012 contest, have contributed to a sour atmosphere for bilateral relations, noted Leandro Morgenfeld in Marcha. That the U.S. election has become polarizing illustrates the challenges the new U.S. administration will face in 2013. If Romney wins and follows through on his rhetoric, he might please hardliners in the U.S. and opposition groups in ALBA-aligned countries, but relations will become even more bitter. If Obama is re-elected, those opposition groups will continue seeking support for their own agendas and pressure from Washington on ALBA governments. However, the dearth of high level attention would likely continue in a second Obama administration, leaving bilateral relationships to stagnate. 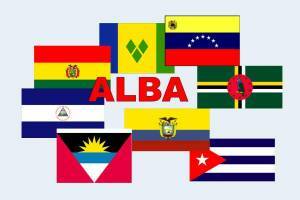 More likely, the real choice in U.S.-ALBA relations will be between empty rhetoric and deafening silence – while further exposing the limits of U.S. influence in the region. Media in Colombia, Chile, and Peru are paying close attention to the U.S. presidential election, but only in Colombia do commentators seem to sense that November’s vote could have a direct impact on their country. Colombian opinion-makers have not articulated specific concerns; their attention appears premised merely on the immensity of the relationship. In Peru, commentators have noted concern about the positions advocated in the Republican primaries on a host of issues, such as immigration and the Cold War optic the GOP candidates espoused. Chileans are following the horse race with curiosity but little mention of its potential implications. In these countries, which are generally open to working with Washington, there is dissatisfaction with Obama but greater trepidation about a return to the foreign policies that characterized the Bush-Cheney era. “Obama losing would not matter much,” wrote Antonio Caballero in Colombia’s Semana. “But what would matter, a lot, is his Republican rival Mitt Romney winning.” The columnist said it would be like re-electing Hoover after four years of Roosevelt. A consistent theme is that the 2012 election lacks the hope of four years prior – hope for more effective U.S. partnership with the region, which Obama promised at the Summit of the Americas soon after his inauguration but has failed to deliver. Many outlets reported former President Jimmy Carter’s comment that neither candidate was likely to pay much attention to the region. While Colombian and Peruvian media reflect public concerns about immigration, the most prevalent fear is that a return to strident rhetoric would only heighten tensions between the U.S. and ALBA-aligned countries. Colombia, Peru, and Chile don’t want to be stuck in the middle. There are no great expectations for improvement, but there is considerable worry about further decline.